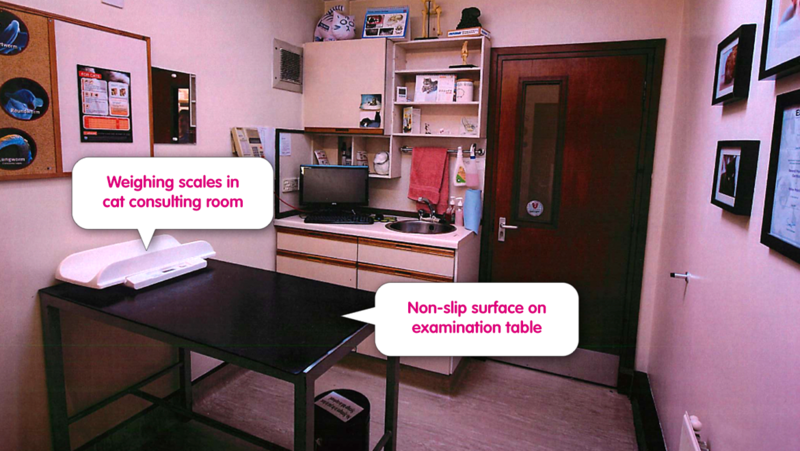 Where consultations take place on the premises, a minimum of one room must be present in the clinic dedicated for use as a consultation room. 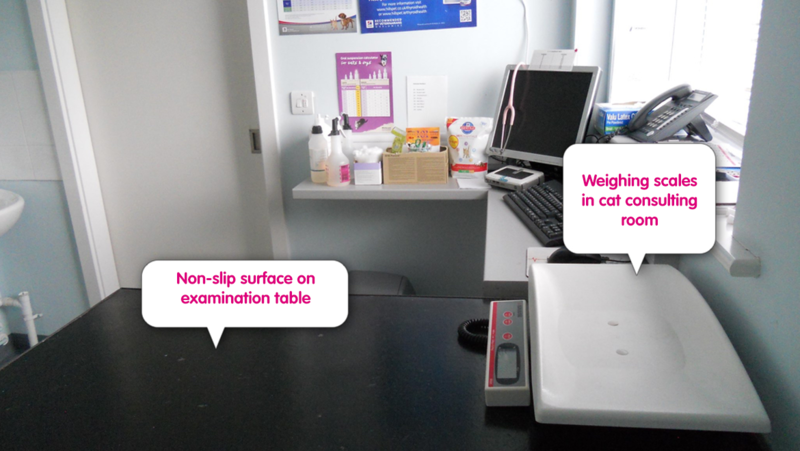 For cats, it is important that the table used for consultation must have a non-slip surface – this may be achieved by placing (for example) a rubber mat on the table. Equipment suitable for use in cats and required for routine examination should be available (eg, a cat or human paediatric stethoscope, aursicope for use in cats, ophthalmoscope, thermometer and accurate weighing scales). 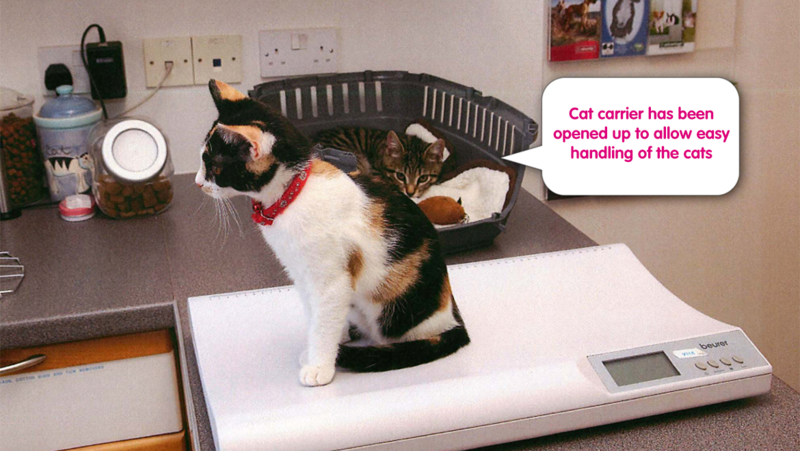 Regular weighing of cats (and recording their weight) is strongly encouraged, and valuable for both health monitoring and for calculation of medication dose rates. 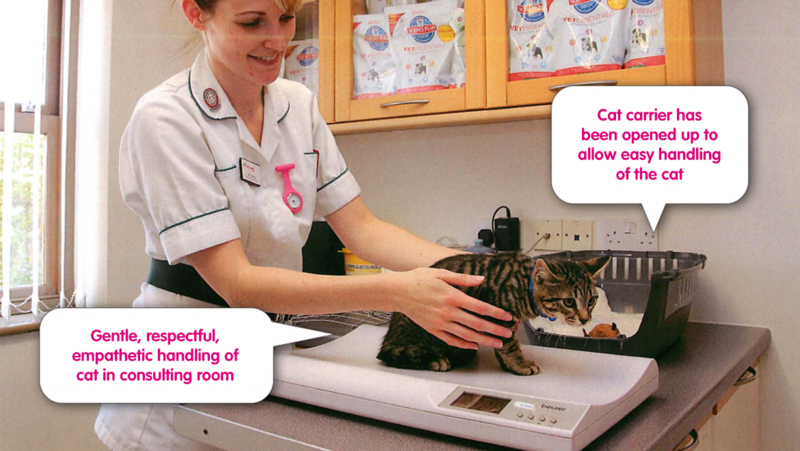 An accurate bodyweight is also essential for all cats that are to be sedated or anaesthetised. An indirect blood pressure monitor should be available for measuring blood pressure in a conscious cat – a Doppler blood pressure monitor is suitable for this purpose and these are readily available. Oscillometric devices are generally much less suitable for use in conscious cats, many perform relatively poorly in this situation, and thus a Doppler blood pressure monitor is generally preferable. It is important that consultation times are of sufficient length for cats – allowing the cat time to acclimatise to the room and to settle down is important. Having the ability to temporarily interrupt a clinical examination is also important if the cat becomes stressed. It is preferable to allow the cat to get out of the carrier of its own accord (if possible), or to remove the top of the carrier (if possible) to allow the cat to be examined where it is comfortable. Forcibly removing the cat from the carrier should be avoided whenever possible. Gently removing the cat from the carrier, ideally with its bedding so that it may feel less threatened, is acceptable. For all these reasons a consultation time of at least 10 minutes should be allowed for cats, but ideally this should be extended to 15 minutes or more to avoid rushing and to allow the cat to settle. 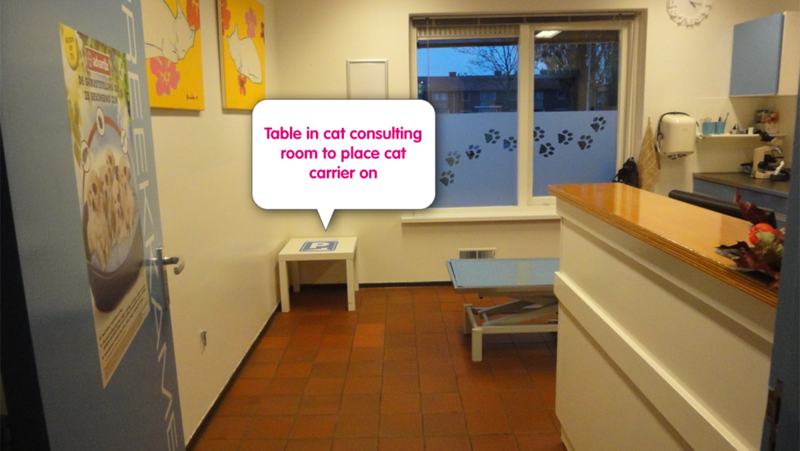 Consultation rooms should be secure (to prevent the cat escaping).